Consumer support for strawberry growers is helping the industry to bounce back after being thrown into crisis earlier this month. Since the story broke, more than 100 cases of strawberries containing needles have been reported, prompting widespread panic amongst consumers. Supermarket chains Coles and Aldi temporarily removed punnets from their shelves, and growers were forced to ditch entire crops. A New Zealand retailer has rejected Australian-grown strawberries and there are reports that the UK and Russia could follow suit. In Queensland, strawberry producer Suncoast Harvest will lay off 100 staff members and eradicate an entire crop of strawberries. A video published on Facebook by strawberry grower Stephanie Chheang from Donnybrook Farms showed strawberries being dumped by the truckload. “We had to throw them out because the markets wouldn’t take our strawberries due to the needle scare,” she said. 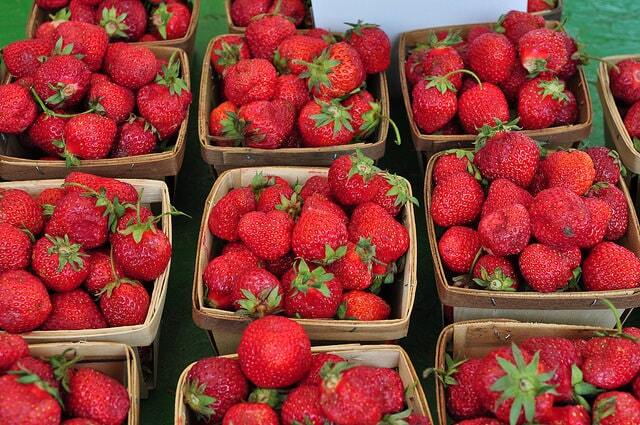 Donnybrook Farms is among seven brands of strawberries that have been contaminated with sewing needles. Although an initial case was is likely the work of a disgruntled former employee, it is thought that copycats carried out many of the subsequent incidents. But publicity such as Ms Chheang’s video has helped to rally consumer support for the industry. Social media has played a significant role with posts encouraging people to ‘cut ‘em up, don’t cut ‘em out’ encouraging shoppers to continue buying strawberries. So far, the results have been encouraging. Strawberry sales are on the up, including at the farm-gate. A single Facebook post has helped one strawberry farm near Caboolture to sell out, with workers struggling to pack punnets to keep up with demand. For many growers, selling fruit direct to the public is the only way to keep trading, with many supermarkets still reluctant to on-sell strawberries. The Queensland state government has announced a $1million package to help restore the strawberry industry through a publicity campaign, improvements to supply chain safety measures and assistance for growers. The Palaszczcuk Government has also announced a $100,000 reward for information leading to the identification of those involved with tampering strawberries. The strawberry industry is valued at $160-million per year in Queensland alone, which is the biggest producer of strawberries in Australia. It is estimated that the national strawberry supply chain was worth $420-million in 2014-2015. 77,000 tonnes of strawberries were produced, mainly for the fresh supply market. Approximately 2% of Australia’s annual strawberry crop is exported overseas. Source: The Daily Mail, The Guardian, News.com.au, Strawberry Strategic Investment Plan, CNN, The Brisbane Times Image: Strawberries with hulls, accessed under a CC2.0 license.